Over the past several days, two major American companies found themselves facing public relations disasters. A fatal engine failure aboard a Southwest (LUV) flight left the airline scrambling to ensure passengers that its planes are safe. And Starbucks (SBUX) was in the spotlight after two black men were arrested while waiting for a friend. Before Southwest and Starbucks came Equifax (EFX), Facebook (FB), United Airlines (UAL) and Wells Fargo (WFC). Each of these companies has had to navigate a public relations crisis over the past year and a half. Some have been more successful than others. "Every crisis is different," said Andrew Gilman, CEO and founder of the public relations firm CommCore Consulting Group. 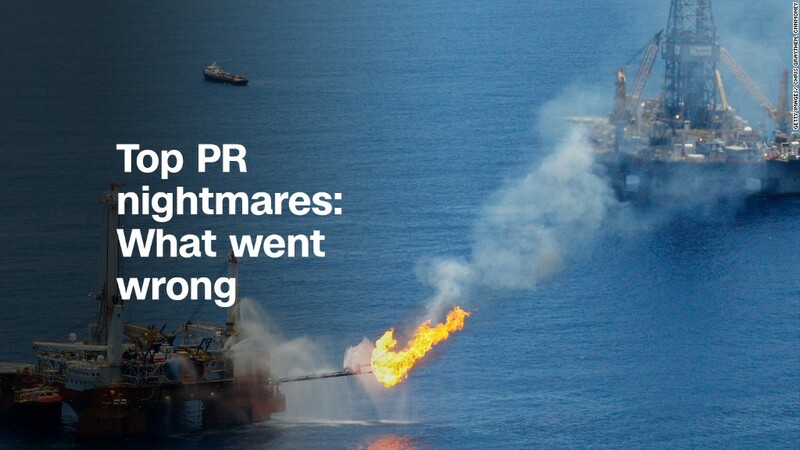 But there are a few things companies can do to manage a PR disaster. "You need to have a crisis plan," Gilman said. "That's step one." Once a scandal breaks, crisis managers need to figure out a response, quickly. "You don't have to take every and all action right away," he said. But you need to decide what to do, even if that means monitoring the situation. Companies must also show genuine concern for the injured party. "If you don't demonstrate care and concern" for the people affected, Gilman said, "It's like going to church and [not saying the prayers]. You notice it when it's missing." And if possible, Gilman said, companies should "regain or control the narrative." That's not easy to do. "Crises will happen," Gilman said. "You're measured by how well you respond." Southwest is still in the thick of its response to last Tuesday's tragedy, which left a passenger dead. We spoke to experts about how Equifax, Facebook, Starbucks, United Airlines and Wells Fargo dealt with their prominent crises. 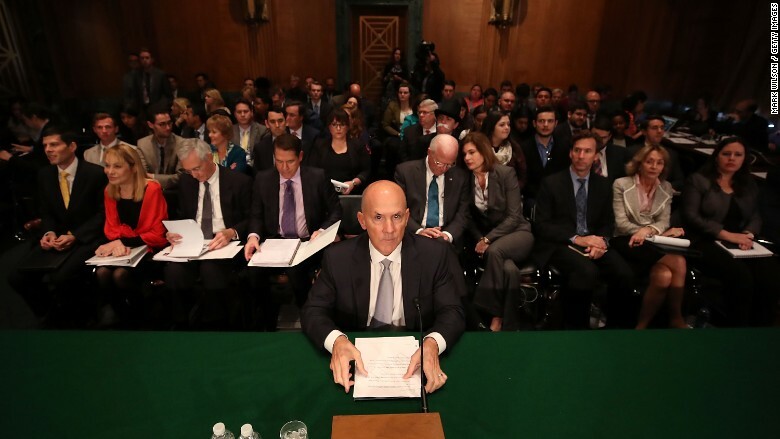 Former Equifax CEO Richard Smith appears before Congress in October 2017. What happened: In September of last year, the credit reporting agency announced that the personal information of as many as 143 million Americans — almost half the country — was compromised in a giant cybersecurity breach. In October, the company revised the number up, saying an additional 2.5 million people were impacted. Cyber criminals accessed sensitive information including names, Social Security numbers, birth dates, addresses and the numbers of some driver's licenses. The company said at the time that the breach occurred between mid-May and July, and that it learned about the hack in late July — months before it shared the information with the public. In March, the company revealed that another 2.4 million Americans' names and drivers license numbers were compromised — bringing the total to about 148 million people. The response: Equifax's Richard Smith stepped down after 12 years as CEO and said he was "deeply sorry" for the breach. The company directed people who feared their data may have been accessed to a website, and offered free credit monitoring. At first, it required enrollees to waive their right to sue the company, but later backtracked. It also waived fees to freeze credit — the best way to protect compromised data — for a month, but only after consumers complained. How they did: The company caught flak for failing to alert affected customers and for a general lack of transparency about what had happened. Experts said that it seemed the company did not have a plan, and was improvising its response as it went along. Now, the company thinks it could have acted differently. "We should have been quicker, more frequent and more transparent in our customer communications immediately following the incident," Julia Houston, the company's chief transformation officer told CNNMoney on Friday, adding that the company was trying to balance speed with accuracy. "We are committed to being as proactive as possible in the way that we communicate and rebuild trust," she said. 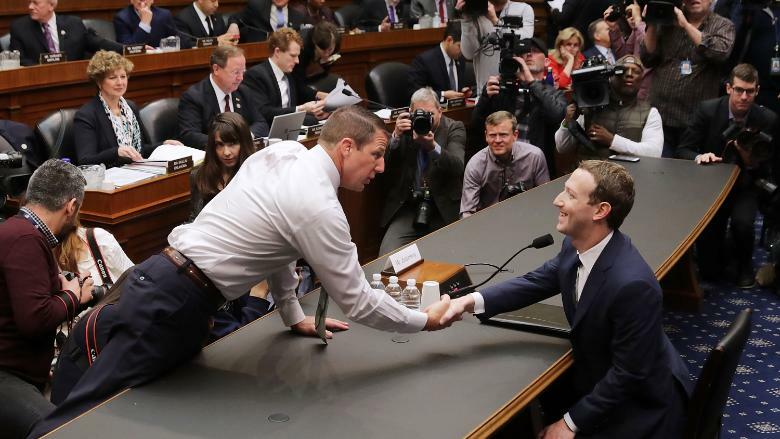 Facebook CEO Mark Zuckerberg testifies before Congress in April. What happened: Last month, Facebook found itself in the middle of a scandal when news broke that Cambridge Analytica, a data firm with ties to President Donald Trump's campaign, improperly accessed the data of tens of millions of Facebook users. Outraged users considered deleting their accounts. The response: Facebook said it learned about the breach in 2015, and that Cambridge Analytica assured the social media platform that it had deleted the ill-gotten data. Lawmakers called for Mark Zuckerberg — who didn't speak out for a few days after the scandal broke — to testify before Congress, and he did. Zuckerberg took responsibility for the breach in a Facebook post, and apologized repeatedly. How they did: People wondered why Facebook didn't do more to ensure that the information was really gone when it first learned of the breach, and how it plans to protect user information more broadly. Bryan Reber, a public relations professor at the University of Georgia, thinks Zuckerberg performed well when he testified before Congress — but that it was pretty obvious he didn't want to be there. "Was it a brilliant performance? No," he said. But it was effective. Gilman added that though Facebook was slow to respond at first, it "did all the right things," when it did. Related: Congress grilled Facebook's Mark Zuckerberg for nearly 10 hours. What's next? The two men who were arrested discuss the incident on "Good Morning America." 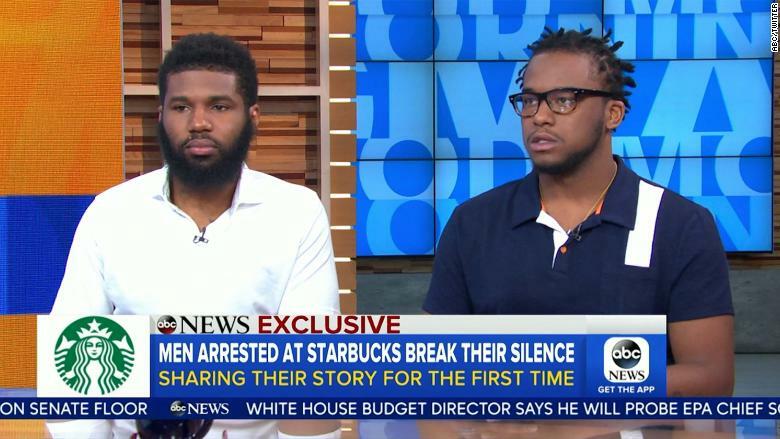 What happened: Two black men were arrested at a Philadelphia Starbucks while waiting for a friend. The men entered the location and asked to use to the bathroom. An employee told them it was only for paying customers. When they then sat in the store without ordering anything, the manager called the police and the men were arrested for trespassing. No charges were filed. The incident sparked protests and garnered national attention. The response: Starbucks CEO Kevin Johnson apologized personally for the incident, and said the arrest "should not have happened." The company added that the manager is no longer working at the store, and announced that there will be a racial bias training for all employees next month. How they did: Starbucks was able to reclaim the narrative. "People were talking about Starbucks, not what happened," said Gilman. Reber added that it was smart of Starbucks to respond immediately, but schedule the training for the end of May. "You fill the information vacuum with what you're going to do," he said, and have a "quiet cooling down period before you make news again with doing the right thing." 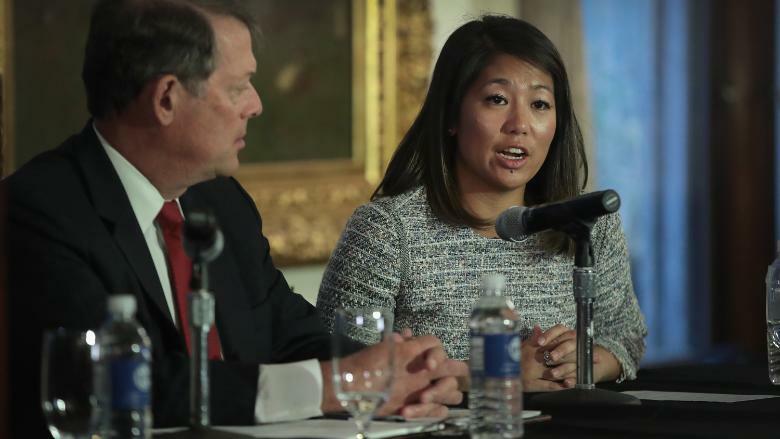 David Dao's daughter and lawyer take questions during a press conference. What happened: Last year, passenger Dr. David Dao was dragged off an overbooked flight to make room for a crew member who needed his seat. The incident was caught on tape and went viral. More recently, a passenger's dog died after a flight attendant told the owner to put the pet in an overhead bin. The response: United CEO Oscar Munoz initially called the incident involving Dao an "upsetting event." At first, the company partially blamed Dao, describing him as "disruptive and belligerent." But as outrage over the incident continued, the company softened its reaction. Munoz said what happened was "truly horrific," and offered an apology to Dao. United's response to the pet's death was swift and immediately remorseful. "We assume full responsibility for this tragedy," the company said. How they did: Reber described United's initial reaction to Dao's incident as "completely tone deaf." The company did a better job in its response to the pet's death, Gilman said. But a "reputation is a hard thing to protect," Gilman noted, and the botched reaction to the dragging of a passenger means United "didn't have as much slack from the public and the media the second time it happened." 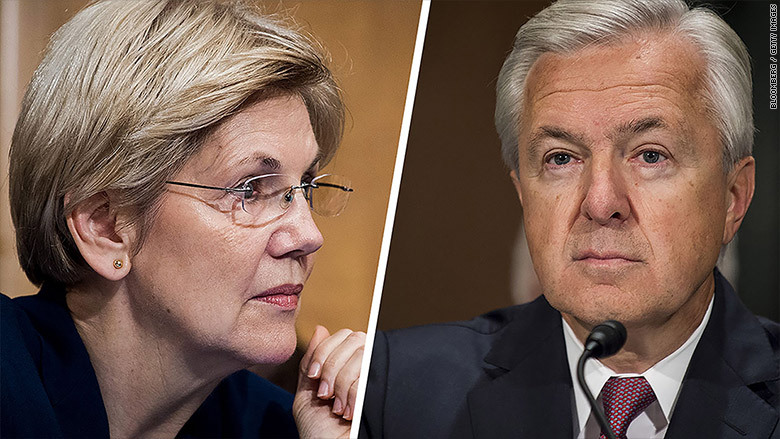 Senator Elizabeth Warren had tough questions for former Wells Fargo CEO John Stumpf when he testified before Congress in 2016. What happened: In September 2016, Federal regulators slapped a $185 million fine on Wells Fargo after revealing that employees had secretly created millions of unauthorized bank and credit card accounts without their customers' knowledge. Soon after, the Department of Justice accused the bank of illegally repossessing service members' cars. In 2017, Wells Fargo was accused of modifying mortgages without authorization from the customers — causing some customers to pay unnecessary fines. It also charged at least 570,000 customers for auto insurance they did not need. The response: First, Wells Fargo fired 5,300 employees over the fake accounts scandal. Some executives also left, and then CEO John Stumpf, who got much of the blame, agreed to forfeit pay. Later, the company clawed back $75 million from former executives, including Stumpf. It agreed to settle charges of illegally repossessing cars and to refund mortgage customers. It received a severe penalty from the Federal Reserve and, this week, a $1 billion fine from the Consumer Financial Protection Bureau and the Office of the Comptroller of the Currency. Stumpf apologized to customers before he stepped down. New CEO Tim Sloan also apologized. The company has focused on being transparent with its customers about the steps it is taking to win back trust and ensure the violations aren't repeated. How they did: Wells Fargo is in a uniquely difficult situation, Reber said. While other companies have to manage crises that resulted from mistakes or negligence, Wells Fargo has had to come back from intentional acts: Employees were pressured by the company to create fake accounts to fulfill unrealistic goals. "[It's] kind of hard to plead for mercy when it looks like there's something fishy that's going on," said Reber. That doesn't mean consumers will never trust Wells Fargo again, he added. But it will take longer. Gilman pointed out that because of the government's involvement, Wells Fargo doesn't have full control of its message. "I bet they thought they were back," he said. But this week's massive fine reminds people of what happened and "reignites" the scandal. -- CNN's Matt Egan, Sara Ashley O'Brien and Chris Isidore contributed to this report.